Bass players are hugely important members of the music world. Their position as mediators between the drums and other instruments is unique, and, quite often, they are equally unique individuals themselves. If you have an important and unique bass player in your life, here are some awesome gift ideas. If your beloved bass player doesn’t already have a pair, buying him/her a set of quality headphones might be a good idea. This goes twice if they’re into recording and need to hear all the nuances. 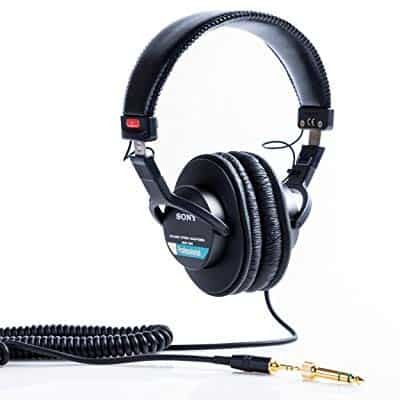 The MDR7506 headphones are also very comfortable and easily adjustable. They sound great and offer a great level of noise cancellation. This set from Sony offers professional tone quality and sturdy build. The box includes a soft-padded transport bag and a 1/4” adapter. Despite being one of the most overlooked pieces of equipment, a quality guitar cable contributes greatly to the tone of the instrument. Moreover, it is always good to have a backup cable, or even two. The GLS cable comes with enough length (20 feet) to be used in both studio and stage settings. The jacket is a high-quality tweed cloth. The electric guitar or bass end is a 90-degree jack. This instrument cable is one of the best options in its price class and a great gift for any musician who plays an electric instrument. Headphone amps are primarily made for musicians (bassists included) who are unable to use conventional amps for practicing at home. Also, they’re a great solution for musicians who travel a lot and don’t want to lug their equipment around. If your bassist is one of them, a headphone amp is a great gift for bass players. 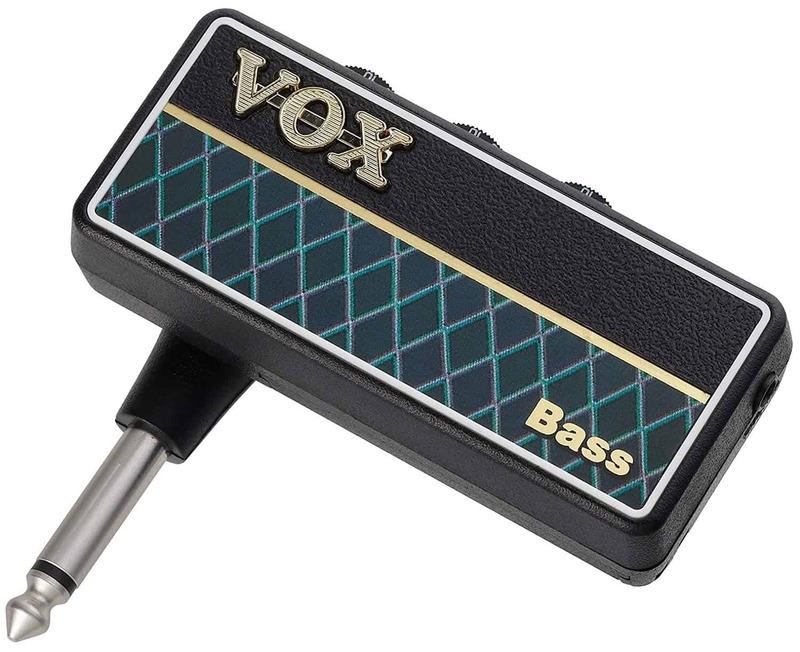 This Vox mini-amp comes in with a standard ¼” plug and a standard 3.5mm headphone jack. The plug is foldable and the amp can easily fit in a gig bag pocket. The AP2BS offers great tone and reliability, as well as classic, elegant styling. The tuner is an essential piece of accessory that should be found in every musician’s gig bag. They come in many shapes and sizes, with clip-on and plug-in being the main types. 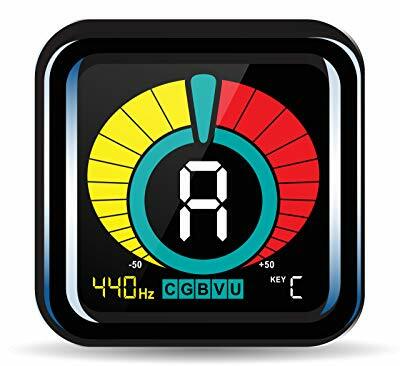 The KLIQ UberTuner is a universal clip-on tuner for stringed instruments. It has a bright and clear display, and it is very easy to use and adjust and comes with a 3-year guarantee. This tuner is powered by a 3V lithium-ion battery, which is included in the package. It also comes with a clip made of strong and durable plastic. A set of fresh strings is one of the best ways a musician can show their stringed instruments some love. Consequently, buying your bassist a set of new strings will show them that you care for not only them but for their four/five/six-stringed companion as well. 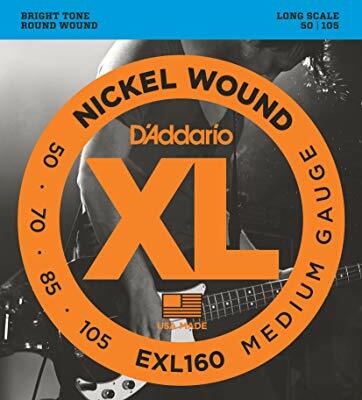 D’Addario’s EXL160 is among the most popular bass strings around, used by casual players and pros alike. The 160s are considered workhorses among bass strings, thanks to their affordability, versatility, and fantastic durability. They can deliver anything from easy jazz and blues to country and all the way to high-octane rock & metal. Spending hours playing in a stand-up position can put a lot of stress on a musician’s shoulders and back. This is especially true for an electric bass player. It is, therefore, important to invest in a quality guitar strap. KLIQ’s AirCell guitar strap is made of neoprene (a type of synthetic material) and rocks the innovative AirCell padding for added comfort. The 3” width helps distribute pressure evenly across the shoulder. The strap is adjustable, ranging from 46” to 56”. Only exceptionally tall players, or players who like to hang their instruments extremely low, will find this range insufficient. A gig bag is another great idea if you want to surprise the special bass player in your life with a thoughtful gift. Aside from their main purpose (transportation), gig bags can be used to store tools and accessories, such as screwdrivers, Allen wrenches, capos, cables, spare strings, and many more. The ChromaCast CC-BPB-BAG is a padded electric bass gig bag. It comes with a huge pocket along the neck section, as well as a pair of smaller ones on the body section. The bag is made of durable synthetic materials and has a thick padding. Ask any recording engineer and they will tell you that the quality of the recording equipment can make or break an album. This also goes for speakers and headphones. If your special bassist is preparing to record their masterpiece, they should have the best equipment they can get their hands on. 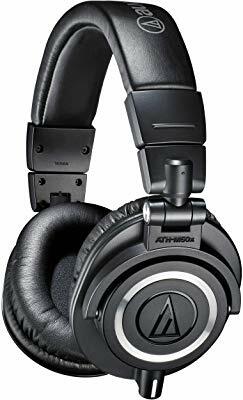 The Audio-Technica ATH-M50x is a professional set of studio monitor headphones. Even though among pricier sets, the M50x is a great investment as it delivers superb clarity and build quality. Guitar and bass pedals are a great way for musicians to add versatility to or find their own signature tone. They’re easy to add and remove from the rig and fun to fiddle around with. Compressors are among the most commonly used pedals, next to overdrive, wah, reverb, and octave. The Caline CP-45 Mini Bass Compressor is a compact stompbox (guitar and bass pedals are activated and deactivated by stepping/stomping on the switch) made for heavy-duty on-stage use. It is affordable and potentially a great addition to a bassist’s rig. There are three main ways to store a guitar or a bass: a gig bag/hardshell case, stand, or wall hanger. The hanger is there for players who have limited space or want their instrument/s to always be within grasp. 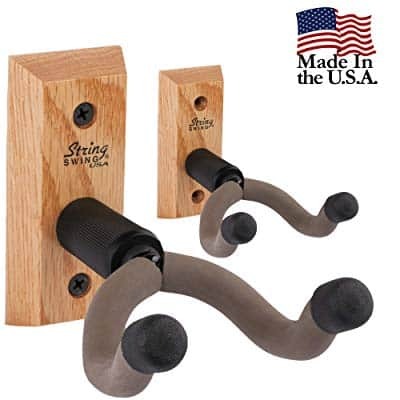 The String Swing Guitar Hanger is a high-quality hanger made with a solid oak base and a foam-padded yoke pivot. The package also includes the screws and anchors needed to fix the hanger onto the wall. This is a universal guitar/bass hanger that can be used with any brand and model. Wireless systems are the best way to avoid cable clutter on stage. A decade or two ago, these systems were expensive and reserved for high-earning bands. Nowadays, there are budget-friendly options which offer excellent performance. 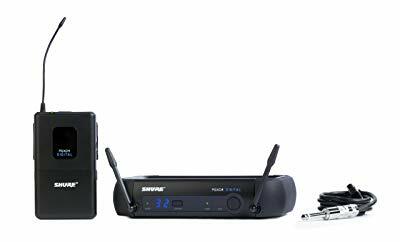 Shure’s PGXD14 Digital Wireless System comes with one battery-operated (2x AA batteries, not included in the package) body pack which can be attached to a belt or guitar strap, one digital receiver, and one ¼” instrument cable which connects the bass and the body pack. The rig has a 200’ reach. This is an awesome gift for a gigging musician. In order to perform to its full potential, an instrument needs proper maintenance and due care. The electric bass is no exception. While many players have some or most of the essential maintenance and care tools, few have them neatly organized. Enter specially designed cleaning and maintenance kits. Elagon’s standard kit comes packed in a neat and well-organized pouch with a zipper. 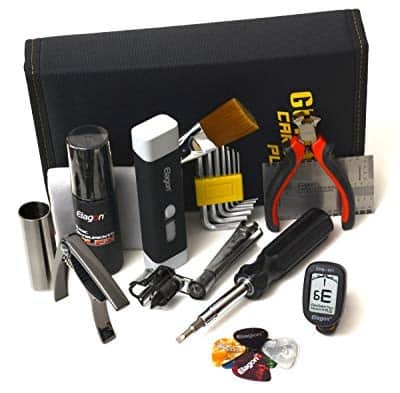 The kit contains a set of eight Allen wrenches, string-cutting pliers, lubricant stick, ruler for setting up string action, polish cloth, and a bottle of guitar polish. This is a universal kit for string instruments. 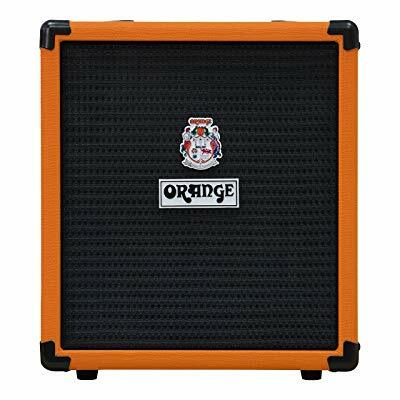 Orange is one of the most acclaimed brands of guitar and bass amplifiers. They’re renowned for their characteristic orange color cabinets and heads, as well as superior delivery and durability. If your bassist needs a reliable rehearsal and practice amp, this 25-watt rocker might be a good choice. The Orange Crush Bass 25 Amp is a compact combo amp (amplifier and speaker are combined into one cabinet) equipped with basic EQ options (bass, mid, treble) and a robust output. It also features a chromatic tuner and standard 3.5mm headphone in and out jacks. Though often overlooked, a guitar/bass stand is an important piece of stage equipment, especially if the band has no roadies and the members use multiple instruments during their sets. They also come in handy for bands that perform two or three sets with breaks in between. 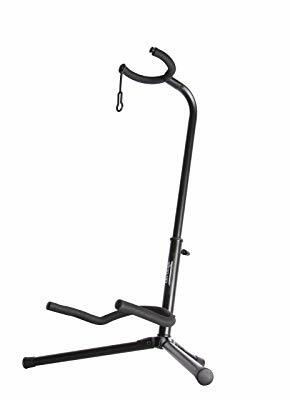 The OnStage XCG4 Tripod Stand is an affordable bass/guitar stand made with performing musicians in mind. It rocks a high-quality metal frame and soft EVA rubber-wrapped yokes. The locking keyway will make sure the guitar/bass stays in place and doesn’t fall over. The height of the stand can be adjusted (19-1/4” - 24”). It also doesn’t require assembly. While being one of the essential pedals in an electric guitar player’s rack, the overdrive pedal is not that common in bass rigs. There are notable exceptions, however, with the late Lemmy Kilmister of Motorhead fame being the most prominent example. Behringer is famous for its affordable and durable pedals, and the BOD400 is no exception. This compact overdrive stompbox can dial in a roaring inferno or purr like a kitten, depending on what the player is aiming for. If your beloved bassist is of the experimental and inquisitive kind, then this might be an awesome gift for a bass player. It goes without saying that rock concerts are meant to be loud, but it is a thin line between loud and too loud. Many a concert-goer and musician on stage have damaged their hearing due to excessive sound volume, which can lead to permanent hearing loss over time. That’s why a huge number of performing musicians rely on quality ear plugs to protect their ears. If your friend performs with his/her band, a set of ear plugs might be a very convenient gift for a bassist. 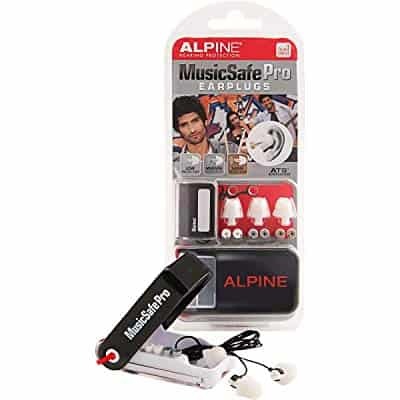 The Alpine MusicSafe Pro is a set of high-quality plugs. They are specifically designed for performing musicians and come with three sets of replaceable acoustic filters of different densities (to cut off at different frequencies). Alpine’s own Thermo Shape material lets them easily adapt to the wearer’s ears. Playing to a metronome beat is one of the best ways to build up precision, technique, and speed. The classic mechanical metronome has been around since the late 17th century and has helped countless players reach new heights as musicians. 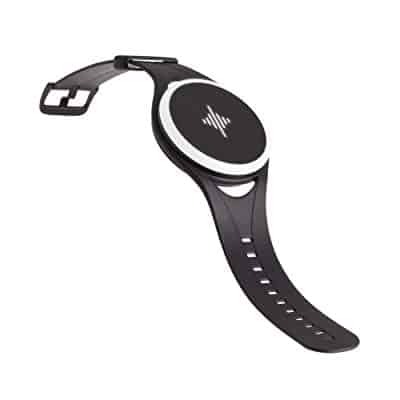 The Soundbrenner Pulse brings metronome to the 21st century in the form of a wearable accessory. 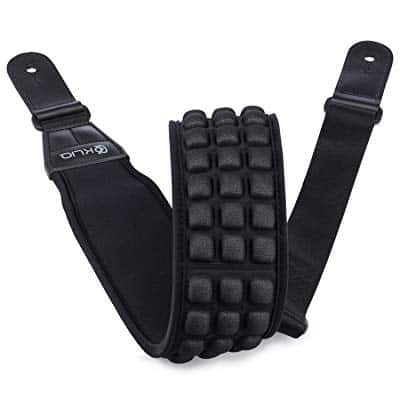 It can be strapped around the wrist, thigh, or upper arm. Instead of clicks, it works via vibrations. Up to five devices can be synchronized to follow the same beat and tempo. A cool gift for any bassist keen on improving their technique. A clean and well-maintained fretboard makes an instrument sound better, as well as easier to play. This goes for all stringed instruments, including basses. While there are no hard and fast rules as to how often a fretboard should be cleaned, it is important to do it with the proper oil or solution which won’t harm the wood. 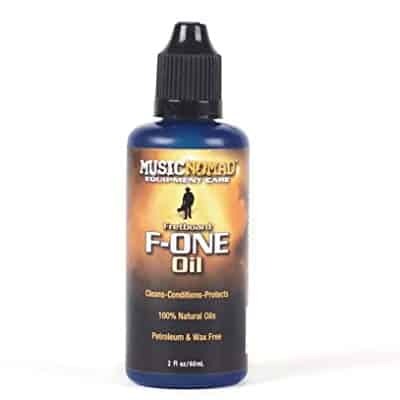 Music Nomad’s MN105 F-ONE Oil is an affordable fretboard cleaning oil that uses natural ingredients. It doesn’t contain lemon extracts, which makes it safe for all commonly found fretboard tonewoods (maple, ebony, rosewood, walnut, bubinga). Guitars and basses also need to be polished from time to time, as they endure a lot of wear and tear during long playing and recording sessions. Therefore, quality polishing oil/spray/crème and cloth are among the essential guitar/bass care kits. If your beloved bass player takes pride in how their bass shines after polishing, buying them a high-quality polishing cloth might be a good idea. 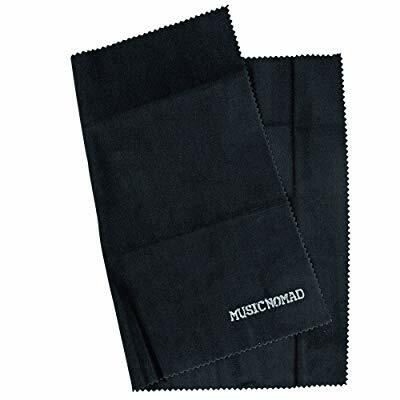 The Music Nomad MN201 is made of microfiber. It is super-soft and comes with non-hemmed edges. The dimensions are 12” by 16”. Despite their advantages, full-sized guitar and bass amp and speaker cabinets are sometimes too big and heavy to carry around. That’s where portable speakers come in. The OontZ Angle 3 by Cambridge Soundworks packs 10 watts of power into a 5” wide and 2.8” tall case. 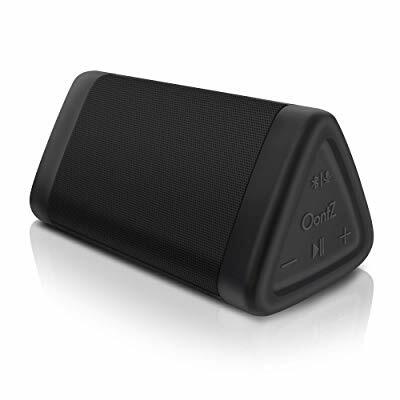 This Bluetooth speaker features a standard 3.5mm audio input, 100’ range, and 12 hours between charges. This is a great solution for solo street performers looking to minimize the weight and size of their equipment. If there’s a special bass player in your life, you can’t go wrong with any of these 20 bass-centric gifts. A guitar player, songwriter, composer, and also the lead editor of MusicOomph, Gavin is one of the four musician friends behind this site. Outside of music, he's an avid sports fan and hardly misses anything from football (soccer) to F1. Hi, I’m Gavin. Together with my band mates, I created Music Oomph to help fellow music enthusiasts make the right choice when it comes to buying musical gear.